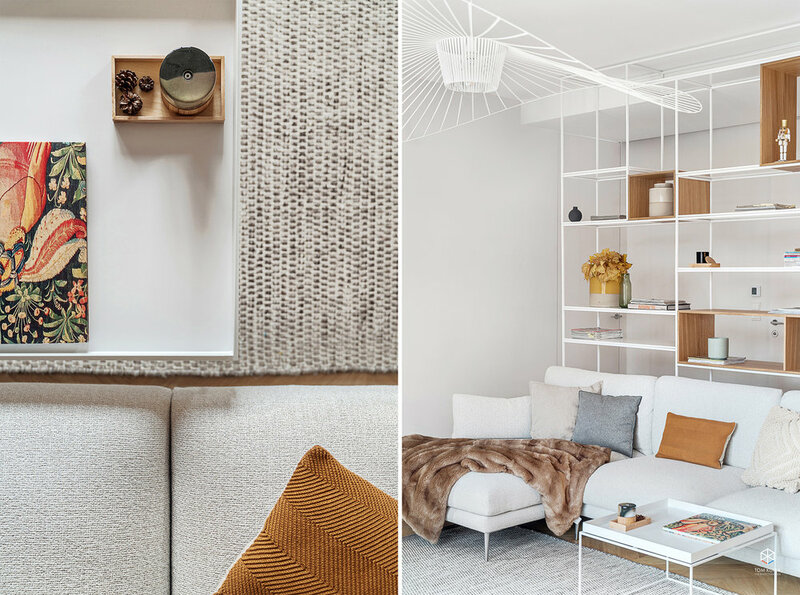 This beautiful apartment designed by Karina Snuszka and Dorota Kuc from MOOD Works is located in an old townhouse near Warsaw city centre. I got to photograph another great project from Formativ.pl. 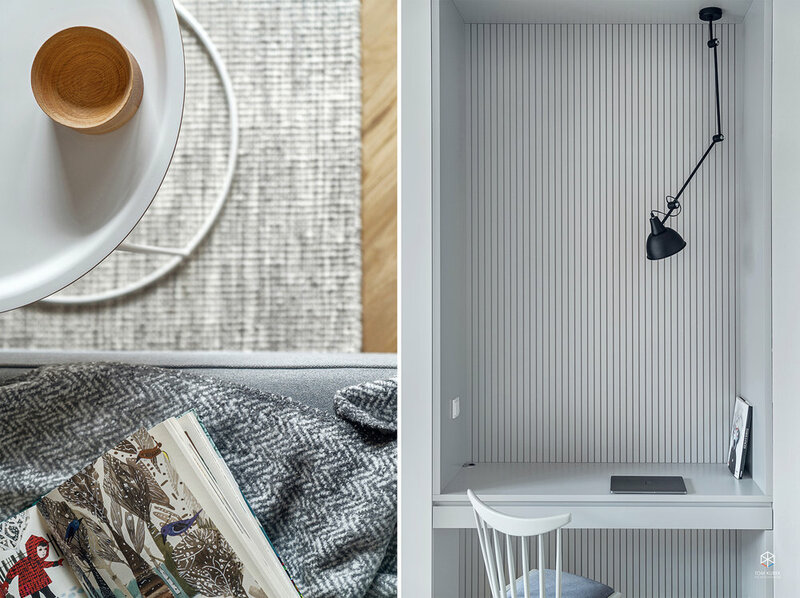 A small two-bed apartment designed and decorated in a recognizable modern fashion using the highest quality materials and workmanship. You can pack in so much goodness in such a small space! I'm super chuffed to finally present to you results of our first photoshoot for Lukasz KOS (www.kos-arch.com) at Scholz&Friends advertising agency in Warsaw. Unorthodox office design with a brave play with colours, forms and textures. That was a good day. As seen in Bryla magazine. These two days spent with MOOD Works last Autumn were quite productive. We photographed brand new Viacom offices in Warsaw. Full of colour, great hand painted graphics all around, loads of space - it was a pleasure to photograph it. Especially surrounded by all the MTV, Cartoon Network I've known since my childhood! 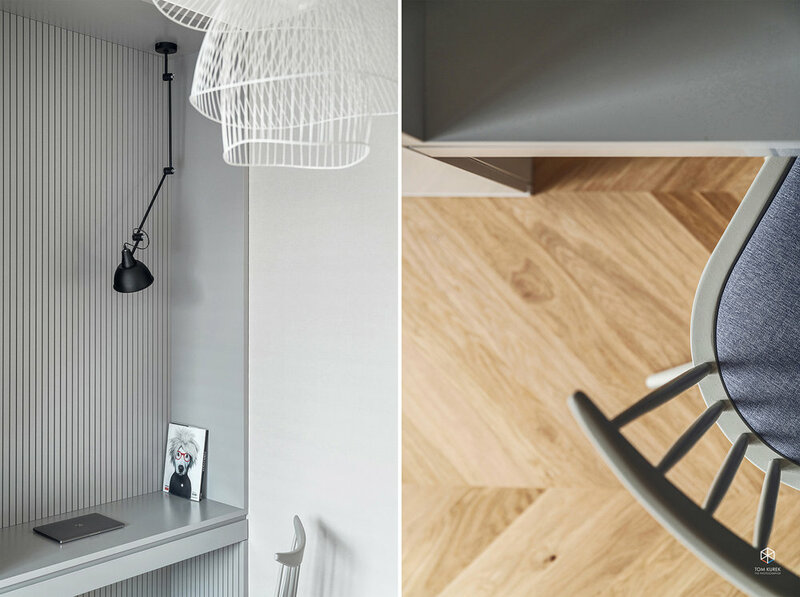 MOOD Works studio designed a beautiful apartment in Warsaw for a beautiful couple, Marta and Borys. I spent a lovely day photographing their very stylish and elegant yet cozy home. As seen in PANI magazine. Very rewarding photoshoot. Capturing a super cool project by Oskar Podolski and Karol Imialkowski from 247 Studio who created a visual representation of Mniam.Tv video production company including the interiors of HQ and production studio spaces. I'm very grateful to be donating a small part to this project and be working for a with such a creative people! Always fresh design and a play on textures and colours makes it always very rewarding to photograph for JT Grupa Architects. Here a sample from a photo shoot at Metamorphosis beauty salon designed by them. 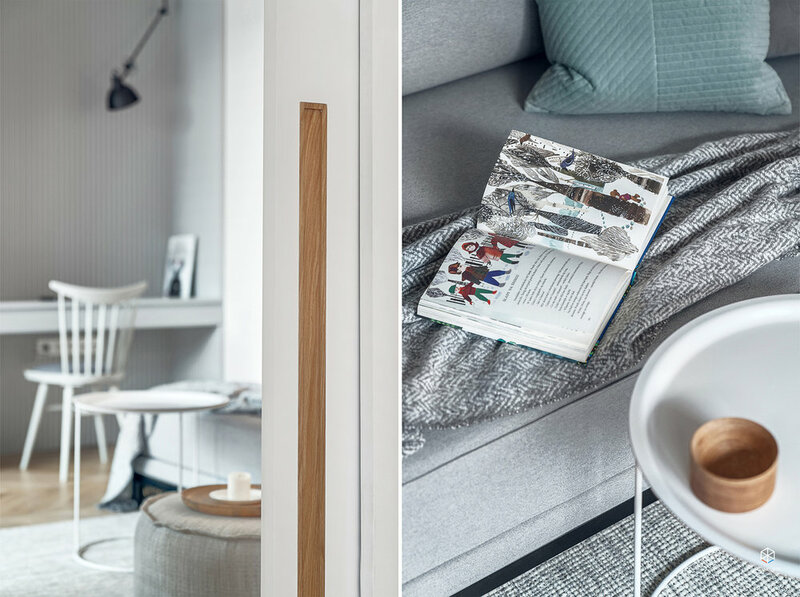 Few months back I had a pleasure to photograph interiors of a modern house near Poznan designed by Ewelina Jankowska from EV Architects. 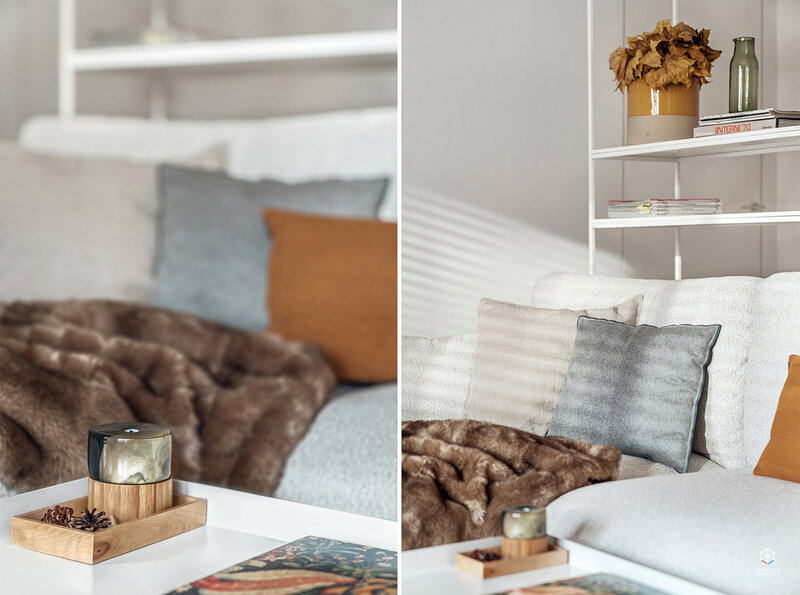 The interiors were a perfect combination of warmth and coziness with a clean minimal design. Exactly what I like what made it a pleasure to capture it. House designed by NO Architekci. 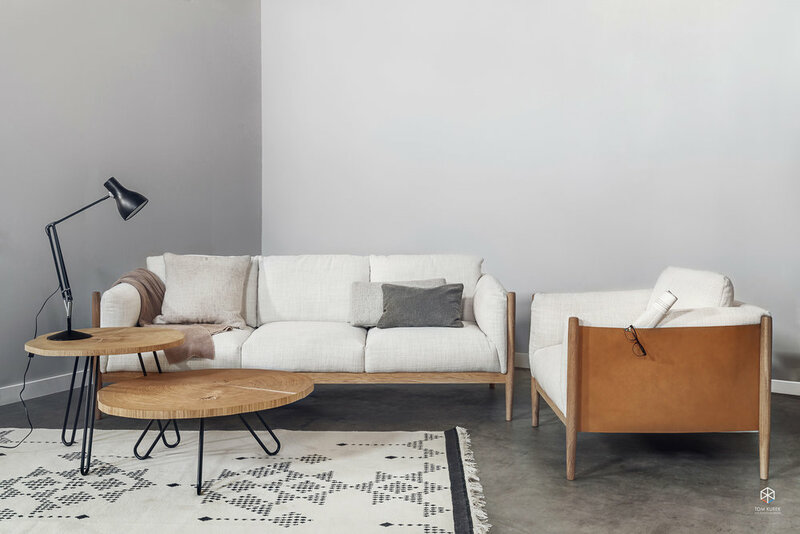 Proud to be commissioned last year by Moma Studio furniture store to photograph their six stores and create images for marketing content. Great people to work with and for! Take a look at few of the images. Tiny, micro, mini, small. Whatever you call there really isn't much space in this apartment. But thanks to the great design by Interurban there's everything you'd need and in style! Loved it! It was a pleasure to photograph this space. Luxurious and elegant apartment in the heart of Warsaw. It was my pleasure to photograph it for Mood Works design. As seen in December issue of Dobre Wnetrze magazine. Winter is kicking off properly so it's a perfect time to come back to one of my favourite photoshoots this year... Last September I spend lovely 2 days at the very beautiful Cote d'Azur in Cannes photographing another quite quite amazing project designed by Katarzyna Kraszewska. The splendor and class of the interior suited Cannes very well. This is exactly what you can expect in a place like this - chic and luxury. It was a real pleasure to work in a place like this. Plus the weather was great and the food was delicious. More assignments like this please! I'm happy to travel wherever you need me! I'm a big fan of minimalism in design so this project was a real pleasure to photograph. There are some interiors which I absolutely adored and appreciated but I wouldn't see myself living in them. This wasn't one of them. This was one of the ones I could see making my own. Great project! Especially with touches of modernism of Gdynia, the lovely city where the apartment is situated in. Design by Studio Potorska. This is how it's done! A design for a family apartment in a city center. Full of great ideas and beautiful detail. Stylish and elegant yet homy and inviting. 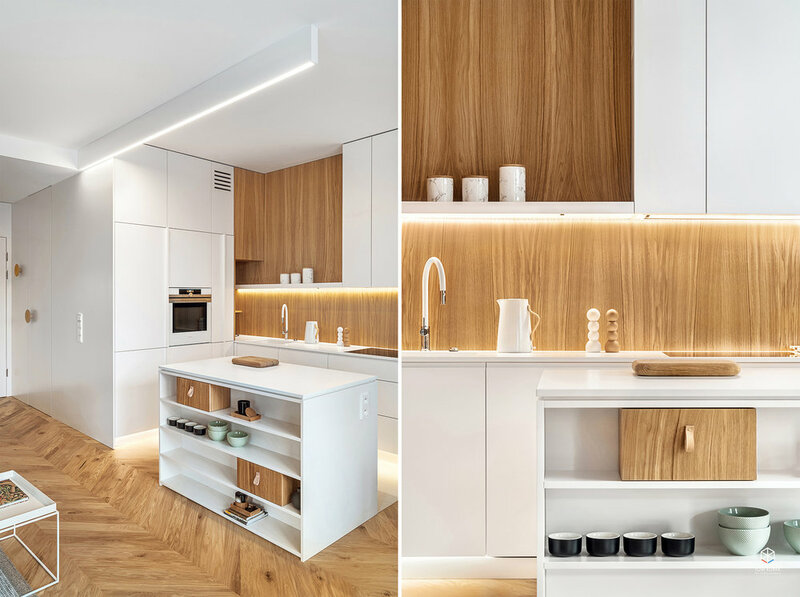 Project by LOFT Magdalena Adamus. Few months back I had a pleasure to photograph a fascinating interior of a house in Cracow. The space was elegant and stylish with spiced up by many amazing items from all over the world gathered and collected by the owners. It's as if the base of the design was as canvas for the collected memories. 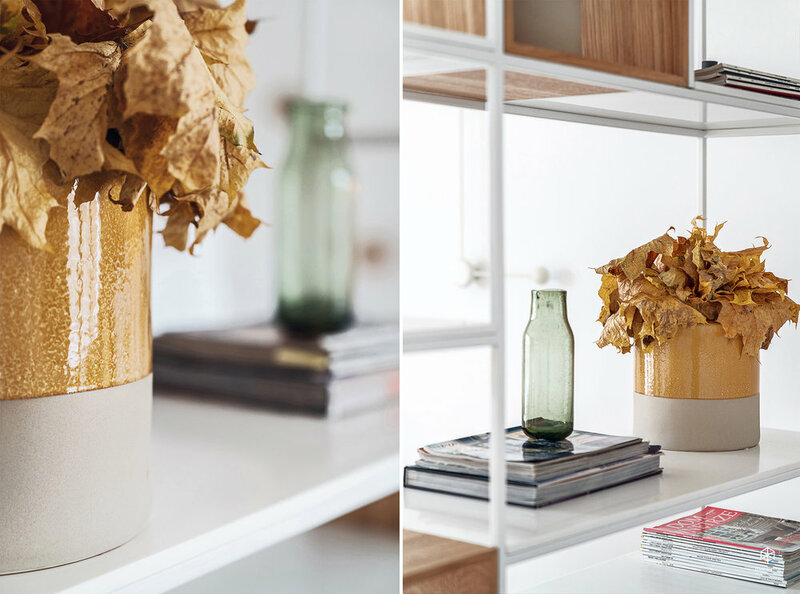 Everything was beautifully put together by Double Look Design studio from Cracow. The design was appreciated and the shoot was published in Dom i Wnetrze magazine earlier this year. Few months ago I photographed inside and out a house in Poznan, Poland and I'm very proud of it. I was lucky to get the assignment. We spent 24hrs at the location to capture all of its shapes and shades. That was the only way to make sure I did everything I could to capture the originality of this amazing one of a kind project by Adam Wysocki from Studio de Materia. 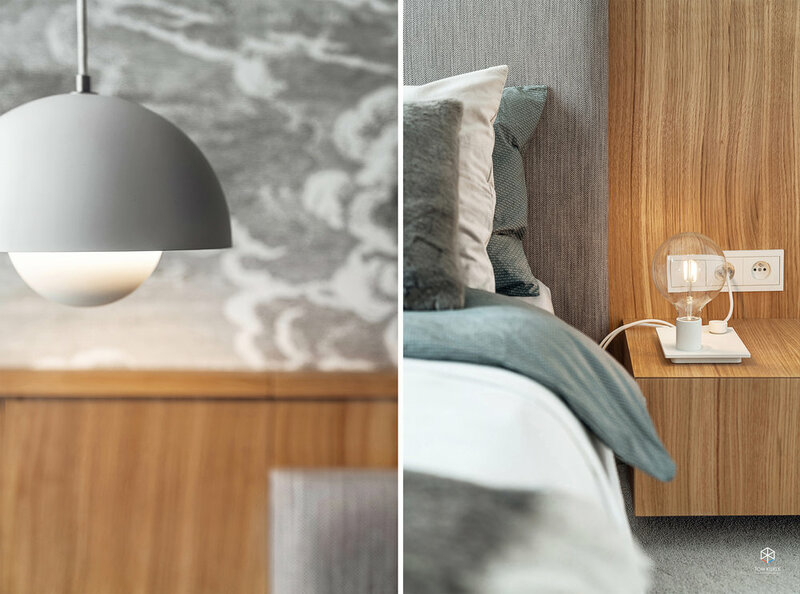 You may have seen the photos already as the project got appreciation all over the internet and print so far including Dezeen, Archdaily, Elle Deco, Architzer, Architonic, Grand Designs magazine, MadWhite magazine, DesignAlive and others! Take a look at the full gallery here (well in case you didn't stumble upon them anywhere already). Looking out to the forest, walking distance to the sea, located in a very quiet suburban neighborhood there is a black and white house. 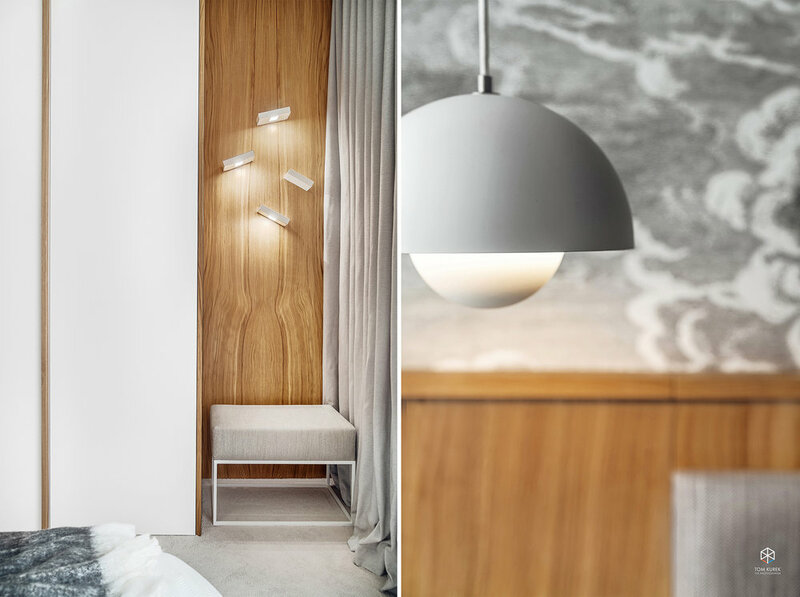 Beautifully designed by Maka Studio. 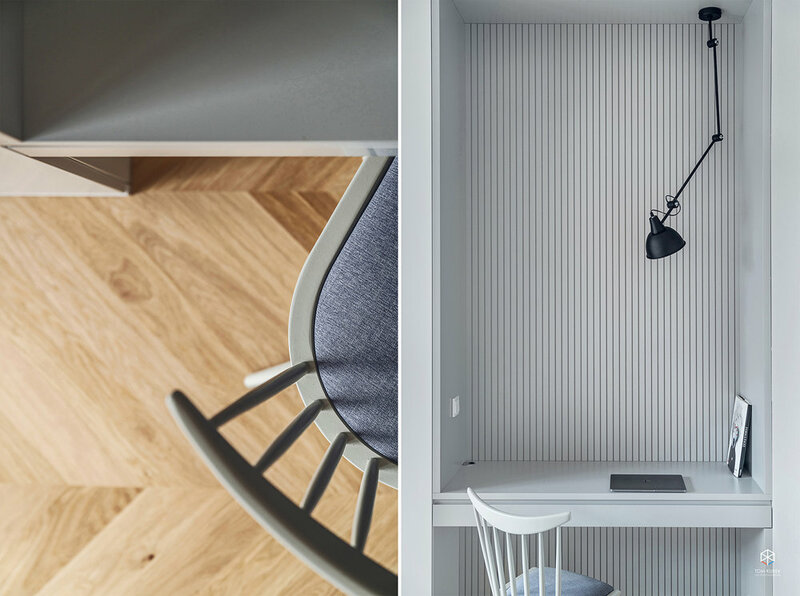 I had a great pleasure to photograph the interiors of this project few moths ago but only now I can show it off after embargo lifted and the photoshoot published in the summer issue of Dom i Wnętrze magazine. I couldn't stop taking photos there. Wherever I looked the was another interesting angle to capture. I hope you will enjoy these as much as I did taking them! Do you remember my photographs of the new Baltiq Plaza development from July last year? This is where this gorgeous apartment is situated. Stunning development clearly attracts clients with a great taste for design. 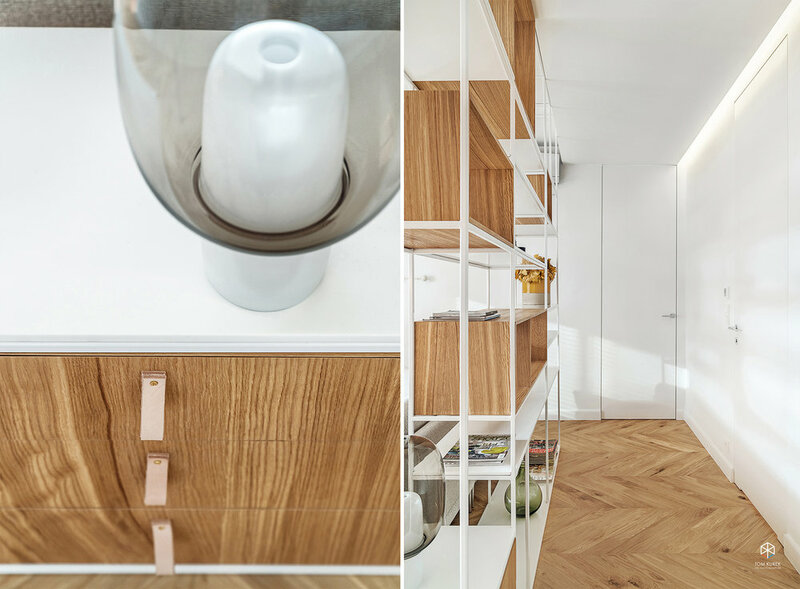 This 4 bedroom apartment was designed by the very talented Mitotu Studio. They created a beautiful and timelessly elegant space for their clients. The kitchen was my favourite room. Look at that stone!